Girls in love with adventure, travel & challenges. Maria likes to run in the rain. I think it comes from the fact she’s from Texas and any showery respite from that summer heat is a joy. I remember we once got caught in a mental Buenos Aires rainstorm and she still quite enjoyed it. It’s not that I’m a fair weather runner, but there becomes a point when rain is not fun. And therefore a good excuse. Today it has been raining all day. When it hasn’t been raining, the air has been wet, so you look out the window and it seems to be raining. Dark clouds pass and bring their 45-degree-angle gushes, leaving a sodden view and feeling. I needed to run today. It was on my “to-do” list. Every look out of the window brought more winces. Do I have to? It looks horrible out there. I fought it until a lull in the day’s rain proceedings presented itself. I got running dressed and went out. Quickly. Before the oncoming downpour and being a wimp changed my mind. You feel like a kid again. I mean, it’s just rain, Mum! My run went well. I did feel noble and I didn’t get struck by lightning. The fishermen standing in their big rain coats were my rainy friends, not put off their course by the sky’s dribbles. Some sports are for all-weather gamers. Fishing, it seems, is one of them. Running too. I felt better for being wetter out there today, clean and refreshed. I am glad I ran. And didn’t take a raincheck. I eat meat and I don’t coo at pictures of kittens. But I do love animals, in the wild, incredible sense. I am a huge shark fan. 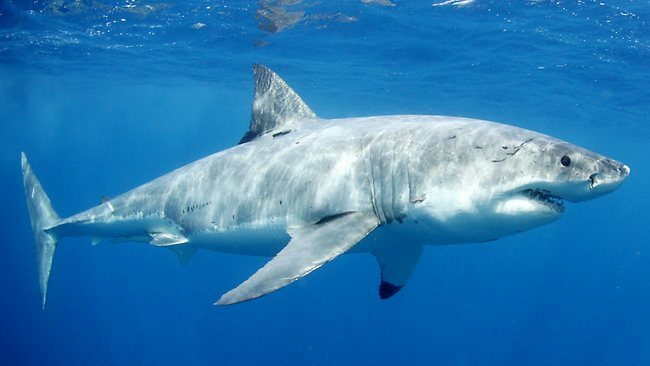 When I read stories about shark attacks I end up feeling sorrier for the shark getting the bad press than the surfer who just had a chunk taken out of his thigh. 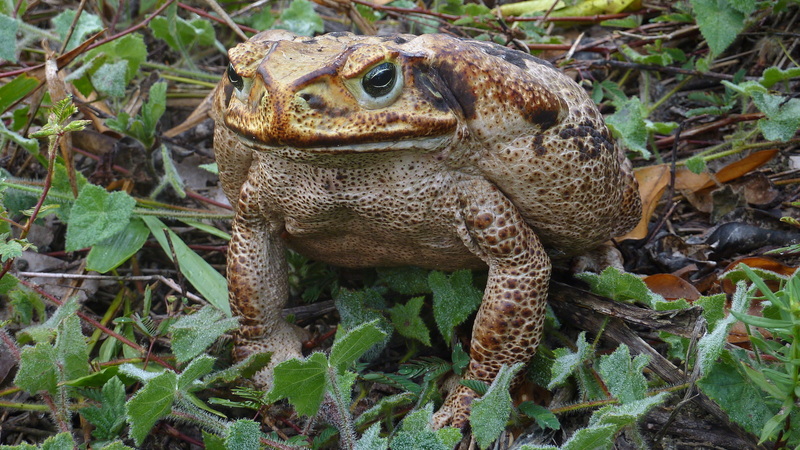 and yellow and brown and green mammoth tropical jungle toads, the size of footballs. Urgh. I once stayed at a beautiful campsite in Brazil littered with them. They were so big they could climb steps, I kid you not. I ended up partying a lot those three days because I couldn’t bear meeting one on the walk across the grass to my tent in the dark. They were everywhere. So I stayed out and danced on bars instead. My point is, is that if you are coming towards me with your pet llama/warthog/python/ostrich I’m still going to stop and say hi. And if you’re someone with a regular walking pet, like a dog let’s say, you’re not going to bother me. Well, I just might have changed my mind. Most dogs I have come across in my life, on streets or while running and hiking off the beaten path, have been pleasant. Dog barks can be fearsome, but generally the bigger the dog, the more satisfied it is with being big (and being able to bite your hand off if it wanted to) so they chill and wander on, sniffing and wagging their tail. The other day I was running by the river and went to pass a couple and their very little dog; it was a barely-past-the-ankle yappy thing. These are even less menacing. They remind me of those battery-charged toy dogs, jerking about fiercely and getting nowhere. I find little dogs like them a bit un-dog like. They don’t bother me because they aren’t real dogs. The mice that live in my basement could take them on. And then this one started on me, chasing up to me like a demented robot and barking like a soprano singer. I mean, it’s not really a bark. It’s never WOOF from one of these dogs. One of its owners, a doddery old man, started to get a bit panicked, like he knew it was really a runner-killer and tried shouting at it to come back. I kept running, hoping that my legs which were 865 times longer than its four little stumps would soon run past it (without treading on it of course). It kept the pace, pulling its teeth at me and going for my ankles. I mean, good call on that one – at least they were in reach. I tried kicking my heels right up behind me to put it off; the old man continued shouting at it; it wouldn’t give up the fight, snarling around my laces trying to trip me up. Animals have all those extra senses: they know when we are scared/guilty/happy/sad. They know when we just want to run away. This little yapster saw me coming and knew I thought it was a pointless specimen of a dog. So it was teaching me a lesson. Think I can’t bite you? Think I’m not scary? Think I can’t make you run faster? I may be little but… YAPYAPYAPYAPYAPYAPYAPPY-YAP! I ran back via Germany, so my little running route troll wouldn’t be waiting for me on the return. I haven’t seen it since. But I’m ready: I believe you are a real dog. Now, can I run and let’s let sleeping dogs lie? First run today without walking intervals. I’m not going to lie (sorry other injured people being patient – keep being so), IT FELT GREAT. It was just a 3-mile foray over the bridge into Germany (my runs are going to get very international living here), along the Sure River, back into Luxembourg over another bridge and along the river path back. I had worn my Nike running rain jacket, but it wasn’t raining and for the last half mile I was sweating like someone overdressed and under-prepared. I didn’t care. It was bliss. For the last half mile I pumped my arms and every so often I said out loud, “I can run. I can run.” I kid you not. I was a grinning running loony, let out of the Home of the Injured to be free and run in the real world again. So why the strange title? Well, here are my observations of this running route this week. Firstly, the path has been covered in slugs and snails. Two days ago I was walking the path and spotted a slug with a snake-like pattern on its back. I wish I had had my camera with me, I’d never seen a patterned slug before. There are obviously exotic slugs in these parts. So, running today, I looked out for them. It’s like a sluggish safari that path at the moment. And in the river there are swans and geese and ducks swimming by. 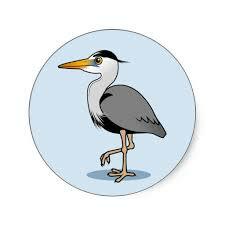 Herons, too. Tell you, I won’t get bored running here with all this wildlife going on. It certainly beats buses and mosquitoes. The same day as the Snake Skin Slug Spot I also got passed twice by a dad running and his (maybe eight-year-old?) daughter on her bike. There she was, babbling away to him as he bounced alongside her. I didn’t understand what she was saying, but it struck me as a genius ploy. Get trained by your kids: they get exercise on their bikes, you get distraction and to keep up with their news while getting a run in, and when your knees pack in and they are older, you can swap around and still keep each other company. Genius. So anyway, here’s to being back. I am not gloating. But, for once, my leg is not hurting. I can run. I’ve said more than once that I need a right leg transplant. I know I shouldn’t joke. There are people with no legs. I should be grateful. But it’s always my right leg that kicks up a fuss and gets injured. So, Monday I found myself laying face down as another doctor took a scan of my right heel. Well, I thought he was going to investigate my heel, you know, where it hurts. Nope. I was there for about fifteen minutes as he took long looks at the inside of my leg and foot, up behind and around my knee too. It was amazing. He must have taken a hundred shots of my leg. I like these thorough Luxembourg doctors. Straight to it. He happily told me the pain has nothing to do with any “serious disease” and that although I have an old scar there, there is also a slight pull or tendonitis. Well, that doesn’t sound too threatening to my running dreams. I now await to see my Audrey Hepburn doctor with excitement, especially at being able to click through all the photos of my leg inside. What does it really look like in there? This positive news, and the fact that the pills the Audrey Hepburn doctor had given me meanwhile were working, meant I treated myself to a little trot yesterday. It was a beautiful day and I ran along the river in the sunshine, following the swans and dodging the German cyclists. Heaven. I know I need to be patient and there are no short cuts to health and fitness, but a little more of this and I’ll be as right as rain.